want to be less insecure, fearful, angry and depressed. fulfilling life. Learn on this course how to make this your reality. 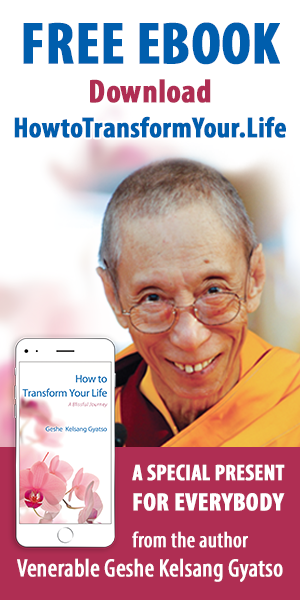 Gen Kelsang Dragden is the Resident Teacher at Atisha Kadampa Buddhist Centre, and has been a faithful student of Venerable Geshe Kelsang Gyatso for many years. He has been ordained as a monk for over twelve years. He is highly respected and recognised for his kind, warm, accommodating heart. Dragden teaches profound methods to overcome daily problems, and presents them with a great sense of humour and wisdom. He has a wealth of teaching experience and brings with him boundless enthusiasm and energy, providing an inspiring example of a modern Buddhist practitioner.